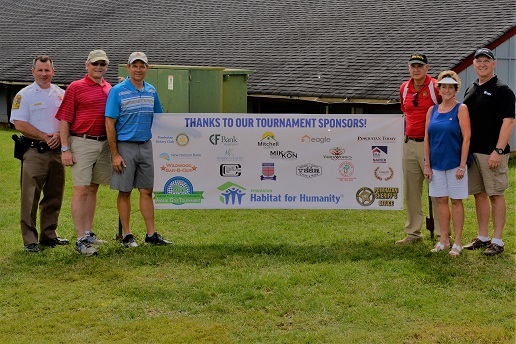 Powhatan Habitat held its 15th Annual Golf Tournament at The Mill Quarter Plantation Golf Club in collaboration with the Powhatan sheriff’s office on 9/22/17 . It was a smash success with a total gross income $20,798 – up over 20% from last year. This year we had 88 players and 29 sponsors. Our title sponsor was the Rotary Club of Powhatan. Habitat and the sheriff’s office also donated 25% of the raffle ticket sales to Jamie Walter, widow of Officer Michael Walter.